Recently, in an extremely revealing and insightful interview with Motherboard, a number of the pioneering influencers behind iOS jailbreaking have given their opinion on the current landscape. If we don’t count in the “beta” iOS 10.x jailbreaks by Luca Todesco for select devices, it’s now been nearly twelve months since the last full public jailbreak was released and in the opinion of those individuals who made jailbreaking popular, it is, unfortunately, close to being dead. That’s not exactly what the enthusiastic jailbreaking community wants to hear from those individuals who they look up to and often rely on to keep the scene alive and kicking as part of the cat and mouse game with Apple. 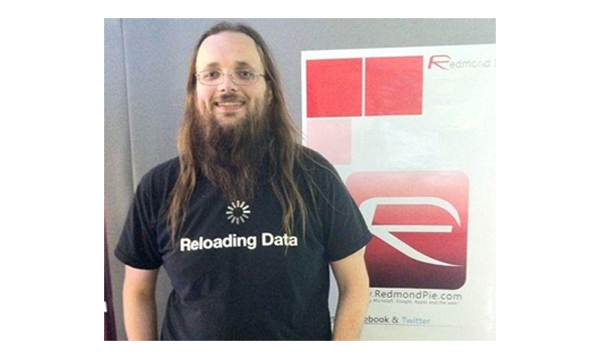 Motherboard took the opportunity to speak to a number of prominent figureheads in the jailbreak community – both from past and present – including Jay Freeman (Saurik), Nicholas Allegra (Comex), and David Wang (Planetbeing). I no longer ever come across a person and go “dude, you should jailbreak”. This is something I used to do constantly; I would occasionally look at people like they were idiots if they didn’t jailbreak, and I have gone so far as, when dealing with recalcitrant people at developer conferences who insist that they hate the entire idea of jailbreaking, to call into question how anyone can even call themselves a developer and not have a jailbroken device. 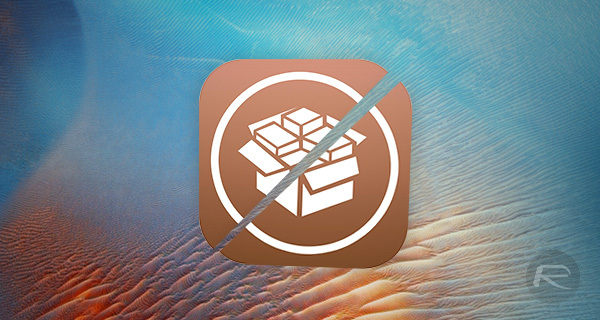 Now, I just can’t do that: the process is sufficiently broken and painful and awkwardly dangerous that when people ask me about jailbreaking I just give them this sad spiel about how I think the community would have been much better off had iOS 10 not been jailbroken at all. Saurik’s full post on the matter is well worth a read there. As you may already know, device owners used to jailbreak in order to expand the capabilities of iOS, but now, thanks to Apple’s progression of the platform, a lot of features taken from popular tweaks and packages now sit directly within the operating system natively. It seems that decline in jailbreak releases may also be put down to the fact that a lot of well-known and highly capable security researchers and hackers – who potentially made their name in this community – have since taken that fame to move on to well paid and respected jobs for well-known security and research companies. It’s almost as if the world of jailbreaking has been a very well viewed showcase for those individuals to progress or even forge their careers. And that’s perfectly fine and understandable. There’s then the fact that well-funded companies are offering extremely large bounties of up to $1 million for those who find vulnerabilities in iOS. That means it is more lucrative to sell than to actually create a free public jailbreak. So what do you guys think? Will we see any young and enthusiastic hackers coming through who will inject life into jailbreaking? Or is this actually the beginning of the end for iOS device liberation? Sound off in the comments section below. iFile, using my iPad Pro with a mouse, itransmission, infinidock, there are many things I miss from my jailbroken devices. I hope it isn’t dead!!! And I get the point of the article but there are a lot of tweaks and things that people use that Apple doesnt make available…. just take tether me for example… Some of us arent on the “major networks” and we need access to MMS settings….. Even on iOS 10.3.1? Thanks @Gregory Goodyear! I’ll certainly try it! It seems like Apple sells the jailbreak now. $99 yearly for a developer account so you can side load. Bet you they are making out well on it. And STILL stealing from the community. Anyone know of a side load program that lets you select which version of an app to have like app admin? I’m afraid side loaded iFile not worth it, because side loaded apps can’t escape sandbox. I knew this day would eventually come and I always told you the cat would catch the mouse and it looks like the cat ate the mouse. I also said when this day would come than you would all come to the dark side Android. Not trolling, but you can get all of those mentioned apps on iOS if you use an app called AppValley without jailbreaking …it’s just not known of by people because they’re so focused on a public jailbreak. Sideloading on ios only last 7 days though. You have to keep sideloading, whereas android you can keep indefinetly. Jailbreak is technically not dead, but the devs trying to jailbreak apples latest firmware is getting harder i suppose. You’re right! I would gladly pay! Actually it is so simple. If every Jailbreaker is buying a JB Tool, the devs would get more money than from Apple or others. Devs should be paid by us users. This should be our chance. It just needs 1$ from Jailbreaking persons and the devs would be millionaires in just a few hours. Also you devs: think about that, try it. If you help us, jailbreaking our chained iPhones, I am shure millions of people would pay one dollar. I can live without Jailbreak, but tweaks like Equalizer Everywhere, exKey, Amalthea or Bioprotect make my life better!! Charge us for the jailbreak… $15-30 a phone. I’d purchase at that price. They’d be making more than they’re currently offered. I’m with him on this one! problem is once you are start charging people, they will be expecting support – even if they can staff people at $ 2/per hour the math doesn’t work – with today’s jailbreak you have to deal with certificate expiration, possible OS re-installation and the usual random re-springs, freezing, hotter than usual phone, etc. which veteran jailbreakers are aware off and can deal with it. Move to Android, an liberate yourself. I have no problem buying the App Store apps. What I have problem on is the RIDICULOUS expensive in-game items. $99.99 for only around 1500 Diamonds? I’ll be okay if it gives 99 million Diamonds or at least 1 million Diamonds. But for just mere 1500 Diamonds? No, thank you. LocalIAPStore for the win and there’s nothing you can do about it. But will that many people pay? And what happens if the jailbreak is super glitchy and freezes peoples phones? While yes it is only a dollar there will be plenty of pissed off people. Also what about those without credit cards or PayPal accounts i.e. pretty much everyone under 18. And even those with their parents cards, the parents probably won’t want the kid taking their personal and secure cards getting used for something like that. And yeah PayPal is totally a thing, but I would image there are a good number of people who don’t have it. It is people like you, who pirate and “crack” games and apps, that’s why Google and Apple keep adding restrictions and making it harder to root/jailbreak. That’s why things like SafetyNet exists now people who rooted for a legitimate reason, cannot use certain apps at all, because people like you abused that power to get stuff for free. You can say what you like all you like. Cyber or Internet pirates will never go away. I am a Rogue Pirate which I’ll admit. A pirate who pays for certain things and will not pay for certain things. Not a true pirate but still a pirate. I have no problem purchasing those iOS Final Fantasy games but if you want me to purchase little amount of Diamonds, Coins or whatever for $99.99 and not millions or billions of those in-game items instead, then I am more than glad to say “No, thank you”. Again, LocalIAPStore for the win and there’s nothing you can do about it. If Apple does not want us to jailbreak, then they should not restrict us in the first place. At least for those who want to customize their phones. I could not care less. I only care for LocalIAPStore, nothing else, and I will never update from my iOS 10.1.1 until a new jailbreak tool (preferrably Untethered) shows up (although it’s highly unlikely). And no, I will not be switching to Android. That’s all I’ll say for that matter.